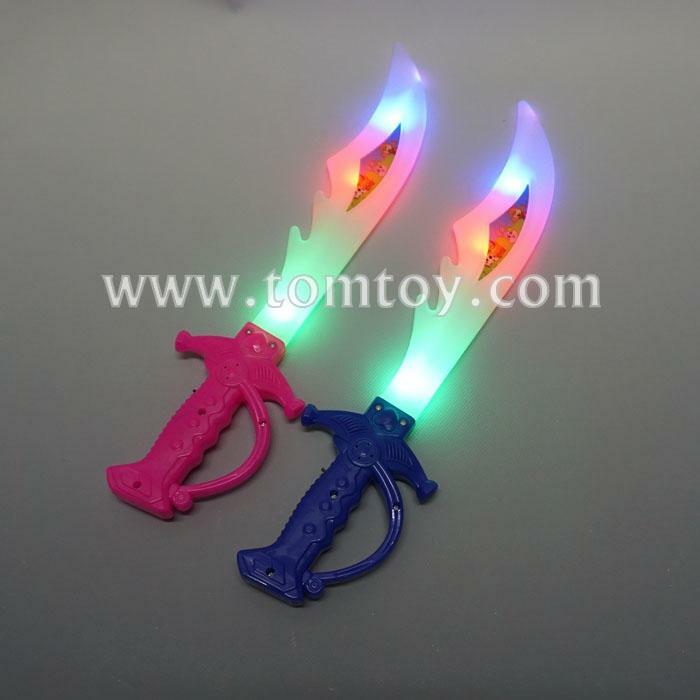 2.Enchant your party guests with this multicolored LED equipped light up toy sword. 3.Perfect accessory to your pirate Halloween costume. Lights up a night of trick-or-treating! 4.Hightech flashing LEDs radiate any room, bringing your childrens’ pirate brawls into the future. 5.Three pieces AG13 replaceable batteries are included and pre-installed.